Recently male sailors in the U.S. Navy are speaking out for equality within the ranks. The push was fueled when the Navy authorized women to wear more relaxed hairstyles such as ponytails. Men are not asking to grow their hair long, rather they are pushing for more relaxed grooming standards with regards to facial hair. The Navy has a long history of great beards, but was sadly ended in 1984. 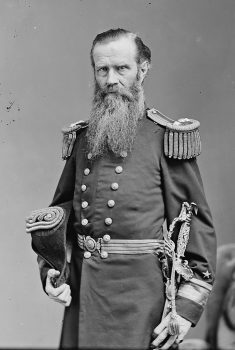 In honor of this valiant fight for hair equality I compiled a list of the seven best beards in U.S. Navy history. Rear Admiral Du Pont served in the Navy from 1815 to 1863. He is, perhaps, best remembered for the attack against Port Royal, South Carolina during the Civil War. The method of engagement used during the battle is lauded as one of the greatest displays of naval tactics in history. 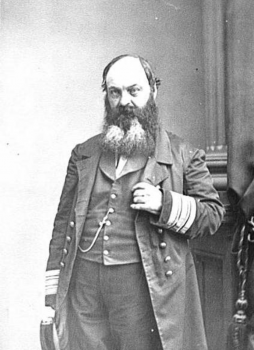 Admiral Luce served in the Navy from 1841 to 1889. Some of his most notable achievements include serving as the first president of the Naval War College and being a member of James Biddle’s crew which circumnavigated the globe. In recognition of his dedication to education, buildings are named in his honor at both the U.S. Naval Academy and Naval War College as well as three American warships. 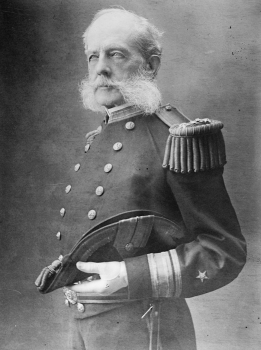 Admiral David D. Porter served in the Navy from 1829 to 1891. Admiral Porter was the second four star admiral, after his beardless brother David G. Farragut. One of Porter’s crowning achievements was leading the Mississippi River Squadron to victory at Vicksburg alongside General Ulysses S. Grant. 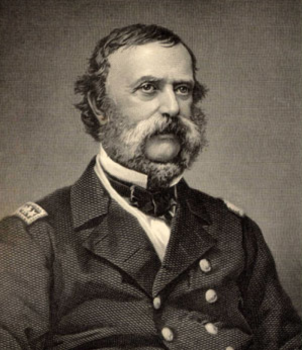 Following the Civil War the Navy appointed him the Superintendent of the U.S. Naval Academy. 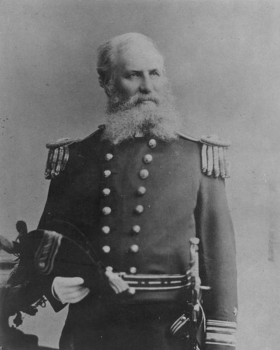 Rear Admiral Crosby served in the Navy from 1838 to 1883 and commanded the gunboat Pinola during the Civil War. Alongside the gunboat Itasca, he broke the barrier of the Mississippi River which allowed Admiral Farragut’s upriver passage possible and led to the capture of New Orleans. Following his time in the Navy, Crosby served as the Assistant Secretary of State. Commodore Porter served in the Navy from 1823 to 1864. His two brothers, David G. Farragut and David D. Porter, were the first two four star admirals in the U.S. Navy. 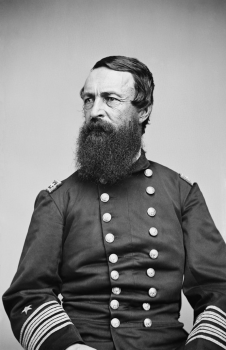 Porter commanded the USS Essex during the Civil War. During the attack on Fort Henry, he was blinded and scalded by a steam leak, but continued to conn the Essex until she was in the clear. He oversaw the construction of two new ironclads, the Lafayette and the Choctaw. 2. 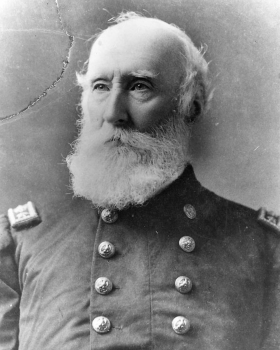 Rear Admiral George Beall Balch Jr.
Admiral Balch served in the Navy from 1837 to 1883. During his illustrious career he sailed around the world. He ventured to Japan in 1854 to drive off Chinese troops wreaking havoc along the Huangpu River. During the American Civil War, he commanded two warships, the Pocahontas and Pawnee. Following his career at sea, Admiral Balch assumed the role as the Superintendent of the U.S. Naval Academy for two years. Rear Admiral Worden served in the Navy from 1834 to 1886. He is most well known as the captain of the USS Monitor in the first battle of ironclads. During the battle a shell exploded near him and partially blinded him. After the conclusion of the Civil War, he was appointed the Superintendent of the U.S. Naval Academy. During his tenure there, he founded the U.S. Naval Institute and served as its first president. Jubal is a midshipman at the U.S. Naval Academy studying Mechanical Engineering. He is currently an intern at the U.S. Naval Institute.